Lumu, a light meter for your smartphone that plugs into a headphone jack, had its Kickstarter campaign updated this afternoon to finally include Android support. For the first couple of weeks of its existence, Lumu was an iOS-only accessory, even though it was picking up massive steam by the minute. In fact, we’re only two weeks in and its funding status currently sits at $171,000, with an original goal of just $20K. As you can tell, the Lumu has been an instant hit with early tech adopters. So what exactly is Lumu? 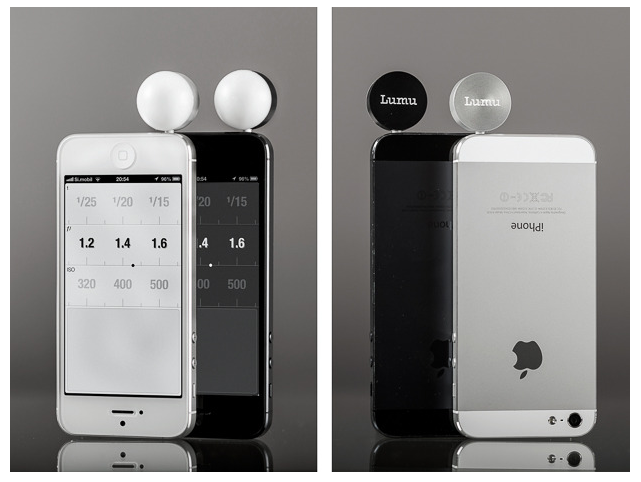 Again, it’s a light meter for your smartphone that aims to replace the pro equipment a photographer would use. So not only is it portable, but it eliminates the need for an actual light meter, since it’s really nothing more than a ball that sticks into something you already always carry – a phone. With a light meter attached to your phone along with the Lumu app, one could (in theory) capture light readings for input into a camera prior to snapping a photo. But where Lumu becomes ultra useful is in the app itself. You can save light readings into the cloud for later usage, record voice notes, store locations, and even save photo parameters. The Lumu team opened up availability for the Android version of its light meter moments ago, so if you get in now, you can grab it for $79 as somewhat of an early bird special. The Lumu is expected to retail at $150, so you are saving almost 50% off of that price. Photographers, or amateurs looking to take photography more seriously, this is definitely an accessory worth looking at.